We are more than thrilled to inform you that we are starting with registration for workshops that will take place during TestingCup 2018! Each TestingCup conference participant can take part in one of the selected workshop. 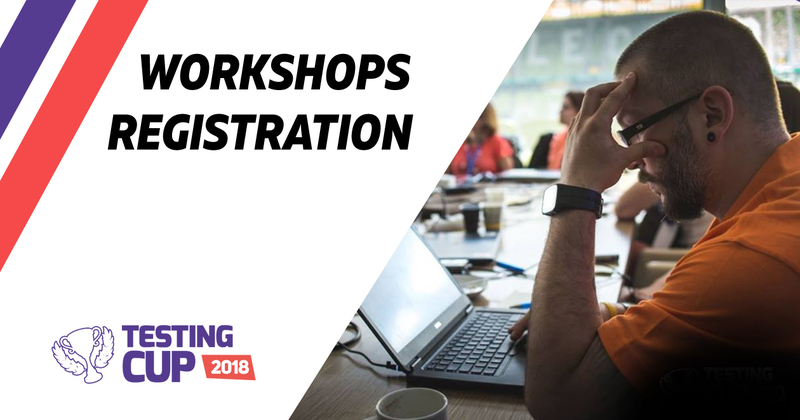 Registration for workshop is open and free for all those who purchased ticket for the TestingCup 2018 conference. The first-come first-served rule applies so we advise you not to delay. To learn more about the workshops please visit TestingCup 2018 AGENDA. After clicking on the chosen workshop you will receive a full description of it. The same way you can register for the running training. Please note that the training is an open event and the registration is independent of the registration for workshops. Hurry up! The number of seats is limited! *Alternatively, you can register by writing an email to the address: testingcup@testingcup.pl.